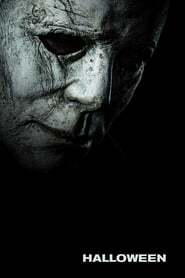 John Carpenter returns to Halloween!!! When a select few horror outlets were invited to the Blumhouse offices for a super-secret announcement, we really couldn’t guess what the news might be. It could be anything from the resurrection of Vincent Price to them telling us there will be a sequel to Creep. Honestly, either one of those would have made us happy. But they made us ecstatic with the news that John Carpenter has teamed up with Blumhouse to do an all-new Halloween movie, with a target release date of October 2017. Um, that’s Malak Akkad, whose father produced the first Halloween film in 1978. Malek himself is a producer best known for Halloween H20: 20 Years Later (1998), the Halloween remake (2007), and Halloween II (2009). 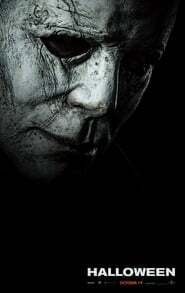 We’ve heard rumors here and there about a Halloween reboot, and in fact we asked him earlier this year for confirmation of reports about a TV series based on Halloween, and Malek emphatically said, “No.” But he knew all along this big news was just around the corner and hiding in the closet! The room erupted into genuine applause as the true master of horror, John Carpenter, entered the screening room, bag of popcorn in hand. Oh, nothing. THERE’S JUST GOING TO BE A BRAND-NEW HALLOWEEN MOVIE!!! 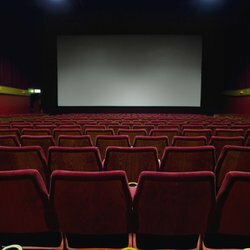 John took a bite of popcorn and said, “So… I decided, after bitching for years and years about Halloween sequels, I would come aboard and shepherd this thing. I’ll help, support the director, and since I’m here with Malek Akkad, and the horror superstar Jason Blum, what could go wrong? So, we’re going to give it a try.” John said his son Cody will work with him, if he does indeed do the score for this fresh Halloween movie. We wondered if this flick would be a new story, a remake, prequel, or sequel? “We can’t tell you yet… because we don’t know,” John said. “What I can tell you is, it’ll be a movie.” Yup. Cue the rim-shot. “You know what? We’re probably going to go back to the original tradition that we started. It’s kind of gone astray. I feel like the remakes maybe went off somewhere that I didn’t want them to go.” And somewhere, Rob Zombie is wiping his tears with $100 bills. Jason said, “I think we want to take it back to basics and not get into too much backstory.” As for who may be tapped to direct, it’s too early to say. “We’ll more than likely work with a director that’s got a couple of movies under their belt. Not sure, yet.” Single film? Franchise? “We’ll see,” said John. The boogeyman is real and will return on Halloween. Some really brief news out of Cannes has Michael Myers being resurrected. Our sources on the Cannes stomping ground tell us exclusively that The Weinstein Company is once again looking to get Halloween 3D off the ground. We don’t have the names of any writers or directors attached, although Todd Farmer and Patrick Lussier had previously been working on a screenplay. While we may be back at square one, at least the Weinstein brothers once again have Michael Myers on the brain. It’s unclear if this would be a re-remake, or another sequel to Rob Zombie’s modern take. John Carpenter’s 1978 classic followed a psychotic murderer institutionalized since childhood for the murder of his sister, who escapes and stalks a bookish teenage girl and her friends while his doctor chases him through the streets. The franchise has spawned nine sequels and made over $500M worldwide collectively at the box office. Bump! Halloween 3D has been junked and instead, we'll be getting a new Halloween produced and possibly scored by John Carpenter!!! OP updated with additional info! John Carpenter, the multiple award-winning and legendary filmmaker and creator of the original Halloween films, will return to the franchise as executive producer on a new production of the iconic horror movie, it was jointly announced today by MIRAMAX® and Trancas International Films — MIRAMAX® and Blumhouse Productions will co- finance development and production, with Malek Akkad serving as producer under his Trancas banner and Jason Blum producing for Blumhouse. MIRAMAX®, which holds worldwide distribution rights, will determine its theatrical distribution partner at a future date. The Academy Award®-winning John Carpenter has written, directed, composed and/or edited over 20 films over the course of his career. An international household name, he is probably best known for his iconic features Halloween, The Thing, The Fog and Big Trouble in Little China, to name a few. As a musician, Carpenter kicks off his world tour in Los Angeles later this month, featuring songs from his Lost Themes and Lost Themes II albums – which he recorded with his son, Cody Carpenter. The 30+ city tour ends in Paris late November. He is repped by APA and Stankevich Law. If only he returned to the director chair. Still, great news. Look, I'm excited to see franchises I grew up with get some new life but I worry about how they'll make the Shape something scary and relevant again. With JC on board, I think we're a lot safer with this film than previous releases. Now that was seriously unexpected. Only problem I have is that he hasn't done a good film in 30 years. Can he break the curse and actually do a great film again after so long? Truth. JC is a talent but his at bats haven't been great for a while now. As long as he's in more of an advisory role as producer or even as a mentor, I think you'd see a more positive impact on the next Halloween film. Hell, I'd take him scoring the film. His Lost Themes albums were fantastic! Jamie Lee Curtis Will Return as Laurie Strode in 2018’s Halloween! It was over two years ago that Blumhouse announced they were set to bring the next chapter in the Halloween franchise to the big screen and have continued to turn heads with their ideas for the project. Their latest announcement is definitely intriguing as they’ve confirmed Jamie Lee Curtis will return to the franchise that kicked off her career and she will once again be playing the iconic role of Laurie Strode, who comes to her final confrontation with Michael Myers. Fans are likely scratching their heads at this revelation, since Curtis’ character was unceremoniously killed off in Halloween: Resurrection in 2002, but in true Halloween franchise fashion it would appear that the film will be ignoring the continuity of many of the sequels in favor of telling its own story. Curtis has previously appeared in four films in the series, including the 1978 original, its 1981 sequel, 1998’s Halloween H20: 20 Years Later, and Resurrection. David Gordon Green (Pineapple Express, Your Highness) will direct Halloween and co-write the script for the film with Danny McBride (yes, Eastbound & Down star Danny McBride). Yeah, it is an interesting choice, but Green started with dramas before moving into comedy, so I think his range can bounce wherever. McBride was more of a shocker, but after he appeared in Alien: Covenant (and saying that he was raised on horror films before getting into comedy), this could end up being quite surprising. Apparently a lot of writing teams pitched their ideas to Carpenter and Green/McBride had the best idea and the most passion during their pitch. I really can't wait to see what they do! I've been wondering if he'll be in it, too. I hope he makes an appearance.